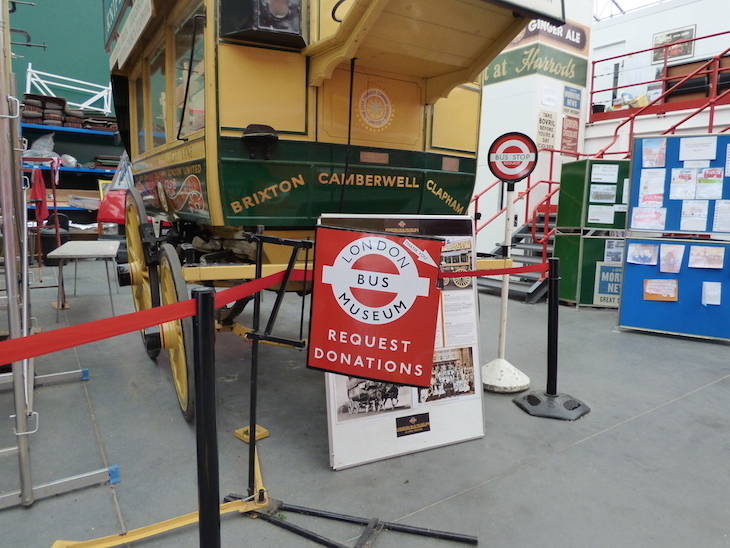 There are two things you need to know about the London Bus Museum. 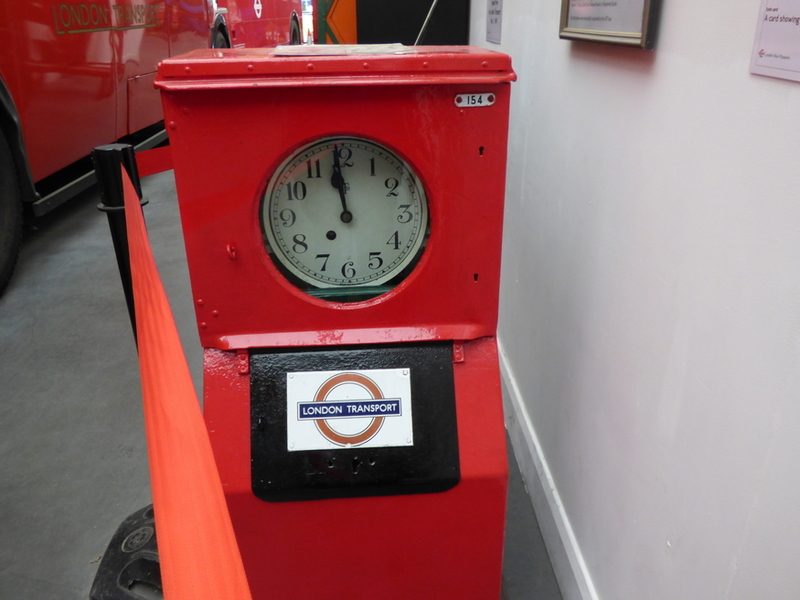 Firstly, at six years old it's a mere fledgling on the London transport museum scene. But it's also punching well above its weight. It may not have the well of Whitewebbs or the location of the London Transport Museum, but what it does have it a view over an aeroplane once owned by the Sultan of Oman. 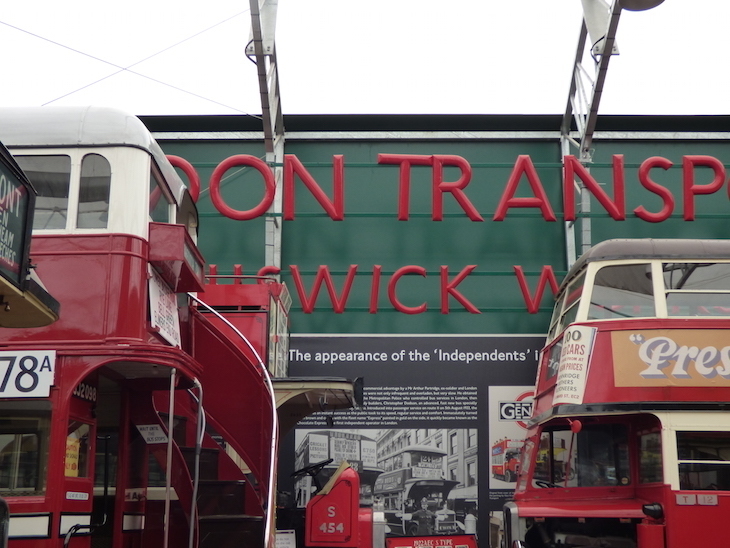 Secondly, the London Bus Museum isn't actually in London. 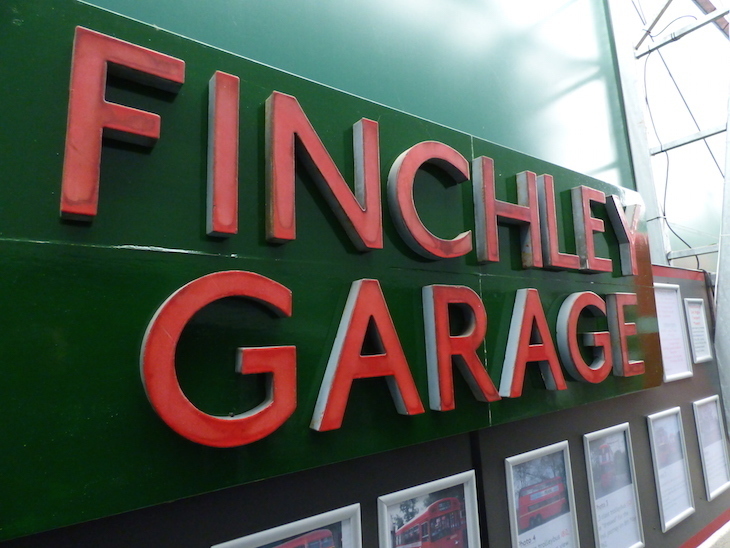 It's in the depths of suburban Surrey, on the same site as the Brooklands Museum. It's a fair trek from the nearest station (Weybridge) and the irony of not being able to find the bus stop isn't lost on us. 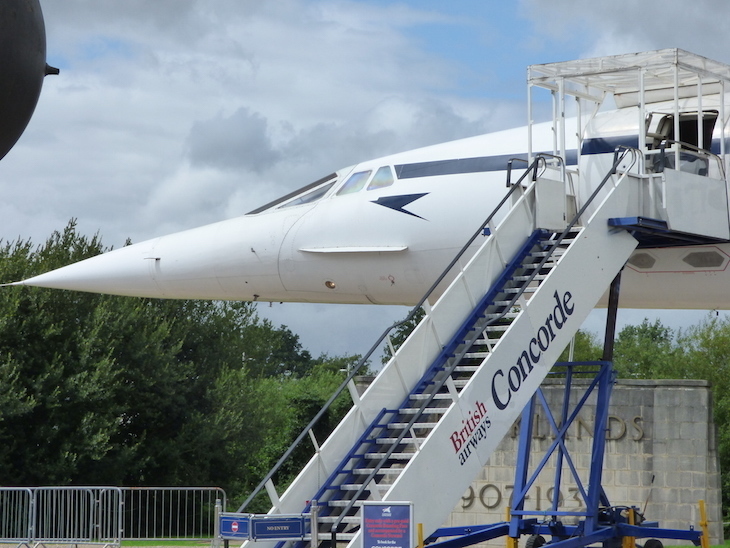 Arriving at the Brooklands Museum, we turn the corner among the various outhouses and come face to face with Concorde. A complete, life-sized Concorde. 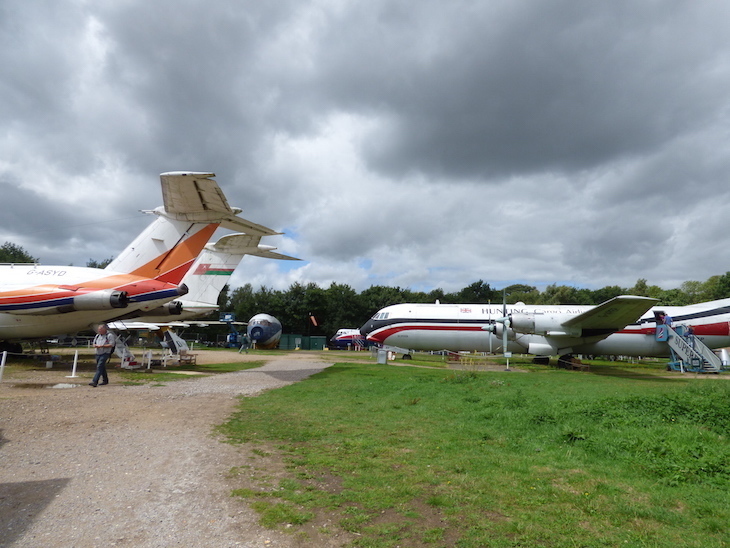 Brooklands used to be Concorde's base. 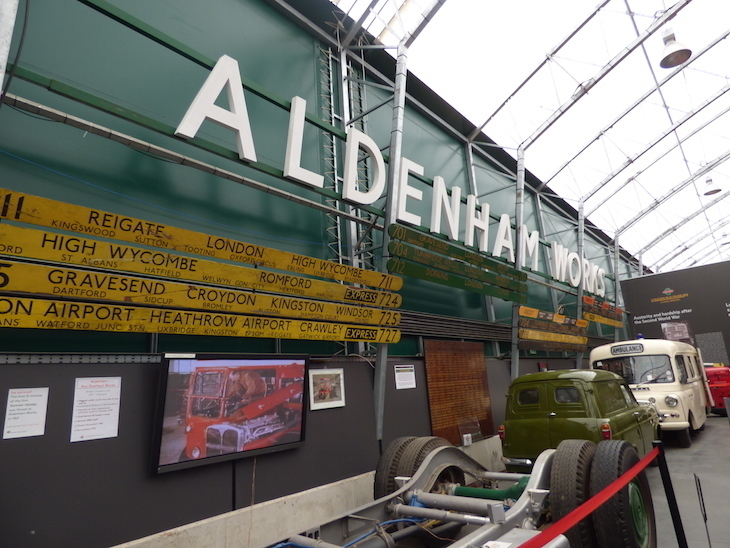 Not what we expected on a trip into suburban Surrey, but around the next corner is the Bus Museum itself, in an airy, modern hangar type building, quite the juxtaposition to the rusting aeroplane carcasses scattered just metres from its front door. A warm welcome comes courtesy of the volunteers on the museum's front desk — the museum is run by volunteers, from the weekly front of house team right up to the chairman. 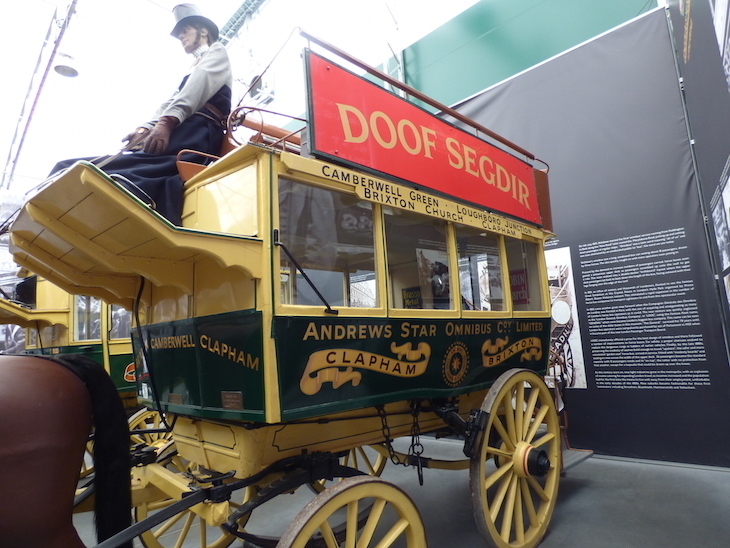 Unsurprisingly, these people know their buses, and one of them, Richard, is pleased to give us a tour of the museum. 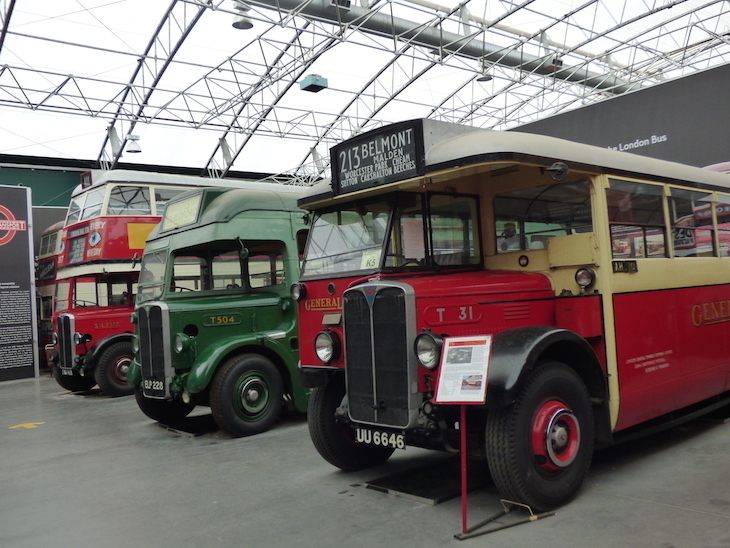 The museum is home to largest collection of historic London buses in the world, and all the vehicles on display here are all originals, no replicas. Some have been rebuilt, which is fair enough when you consider they date back to 1875. Look out for the oil drip trays under most of the engines, catching the last, sputtering remnant of these vehicles' working lives. You'll notice a faint diesel smell in the air too. 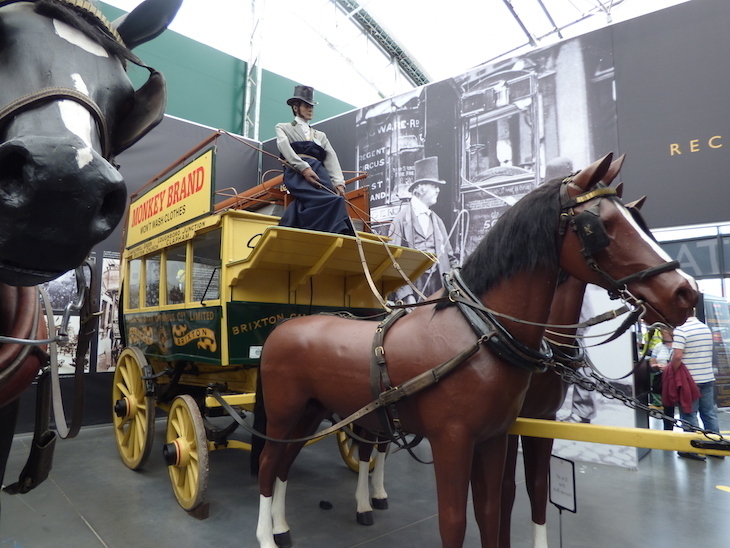 It's laid out in a chronological order, beginning with the horse buses. Both are in excellent condition and are still being taken out on occasional public runs today, albeit with more lively horses than the equine counterparts on display in the museum. 'DOOF SEGDIR' reads the advert on one of them. 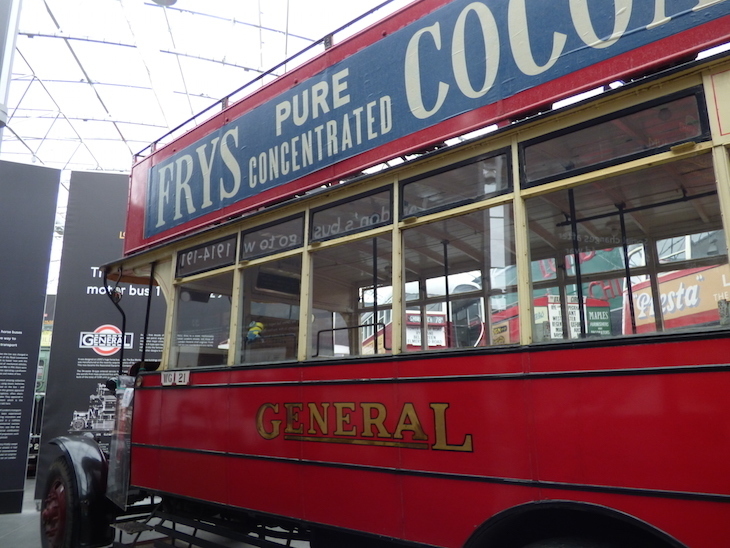 It's an advert for Ridges Food, written backwards on the side of the open top bus so that outward facing passengers would be able to read it through reflections in the windows of buildings they passed on their ride. There are several flaws in this logic, but we let it go. 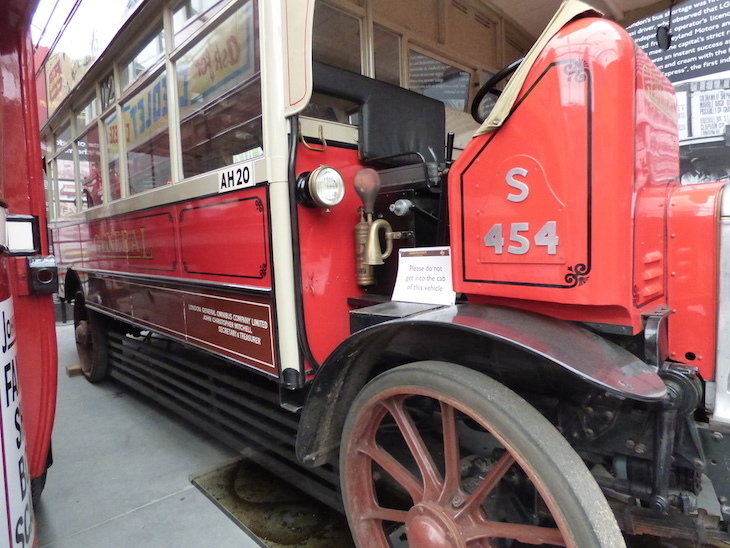 As we move on to the early motor buses, Richard tells us that plenty of the museum's buses have been used in film and TV shows, deftly pointing out which one was used in Downton Abbey, Mr Selfridge, Nanny McPhee. A couple of weeks before our visit, one was hired out to feature in the new Mary Poppins film, and was returned to the museum spattered in fake mud, designed to emulate a wet day in 1930s London. These posters were put on one of the museum's buses to feature in the new Mary Poppins film, set in 1930s London. 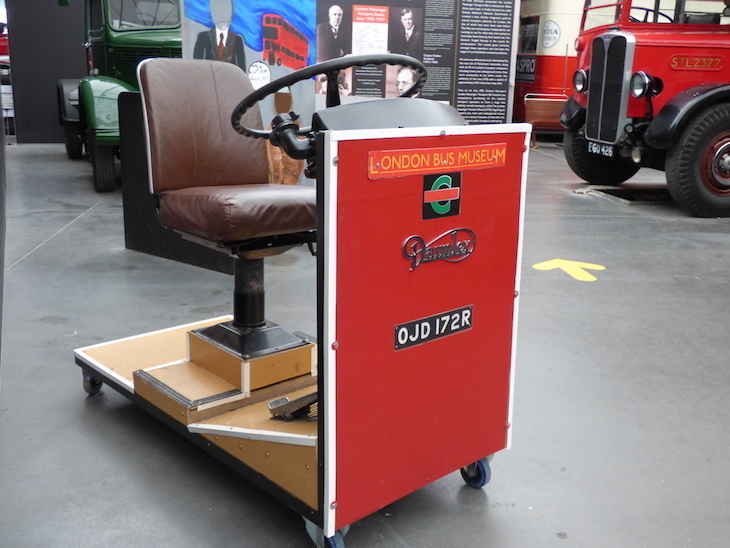 The museum's great for younger visitors — they can climb up into a standalone bus seat and have a go at operating the pedals and levers (we'd be lying if we said we hadn't had a go too). The second world war experience is interactive, and along with Richard, we get roped into helping a couple of children taking part in the summer holidays 'Minion trail'. Once seen, a cuddly toy Minion strapped into the back of a second world war ambulance is not easily unseen. 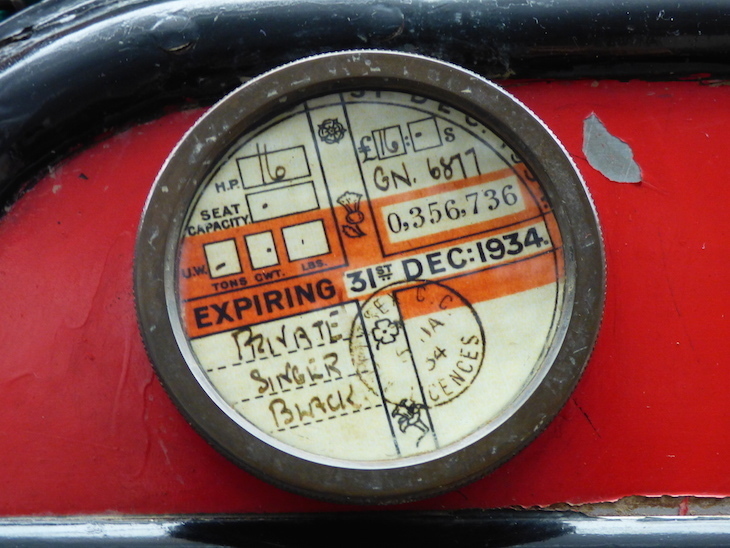 For those who want more, the technical, political, economical and social history of London buses is covered in detail. From the small indy operators which ran the buses until taken over by London Transport in 1933, to details of individual workers. 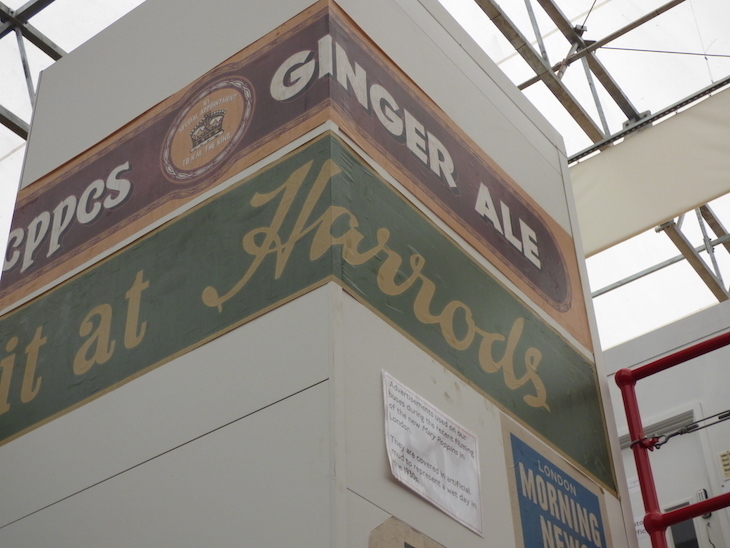 See inside the donated toolbox of Jack Brown, an LGOC worker from Battersea who died in 1960. 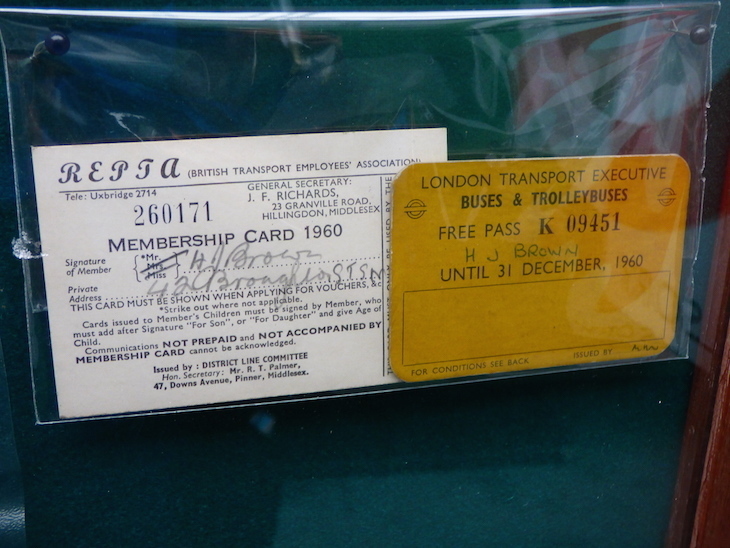 Contents of his toolbox include a Transport Employees' Association membership card. Many familiar names are showed on the destination boards of these London buses: London Bridge, Angel Islington, Loughton, Cheam... Guildford, East Grinstead, Tunbridge Wells. Wait, what? Richard explains the Greenline, the express long distance buses that use to run through London. It used to be possible to catch one bus from Tunbridge Wells all the way to Windsor, via central London — and was probably quicker then than it would be in today's traffic. Even within London, we see some familiar routes. 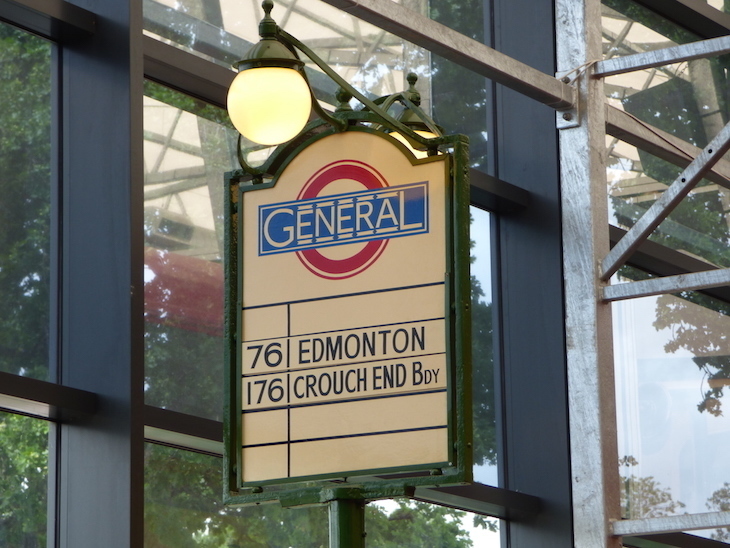 We've caught the 78 up to Shoreditch many times when the Overground has let us down. The plethora of memorabilia gives the museum that coveted Instagrammable quality. Vintage adverts, special issue Royal Mail stamps signs and old tickets all sit side by side. 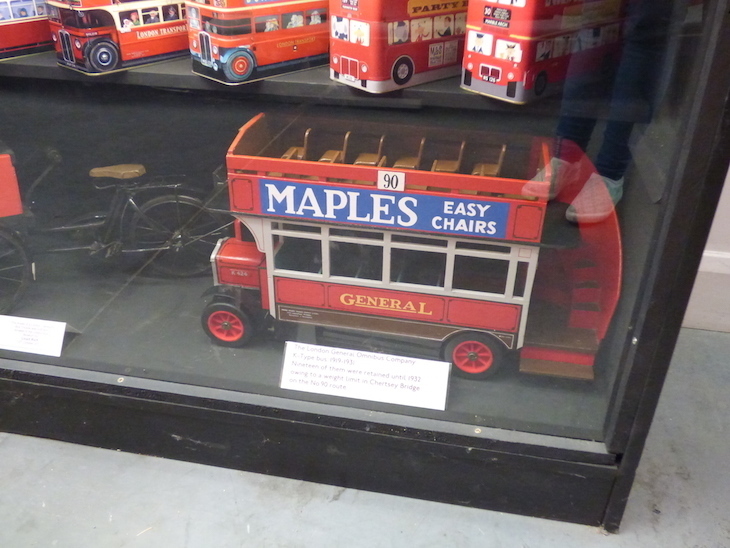 Then there's the more whimsical end of the bus memorabilia market; a bus jigsaw, a model bus made from matches, and a series of red metal M&S biscuit tin shaped like a double decker bus (model unknown). 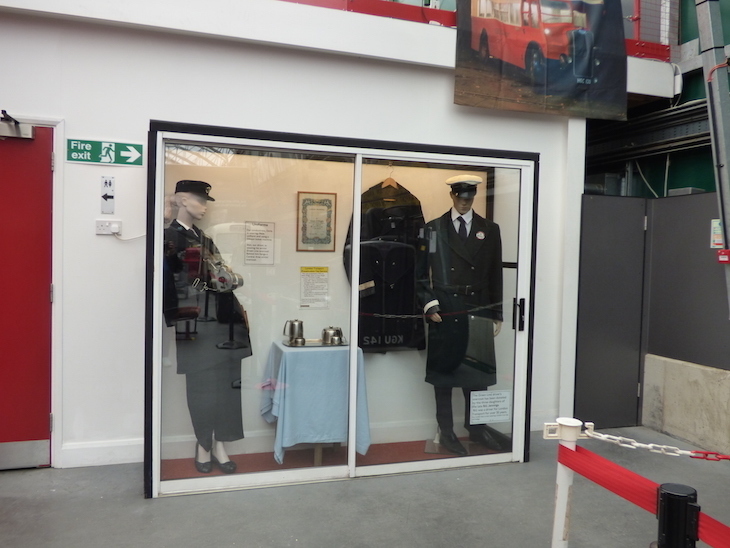 We're examining the case of old bus conductor uniforms when Richard comes over and takes a closer look. "They were right", he says, "Someone told me the other day that the male mannequin is wearing a female jacket, and they're right". 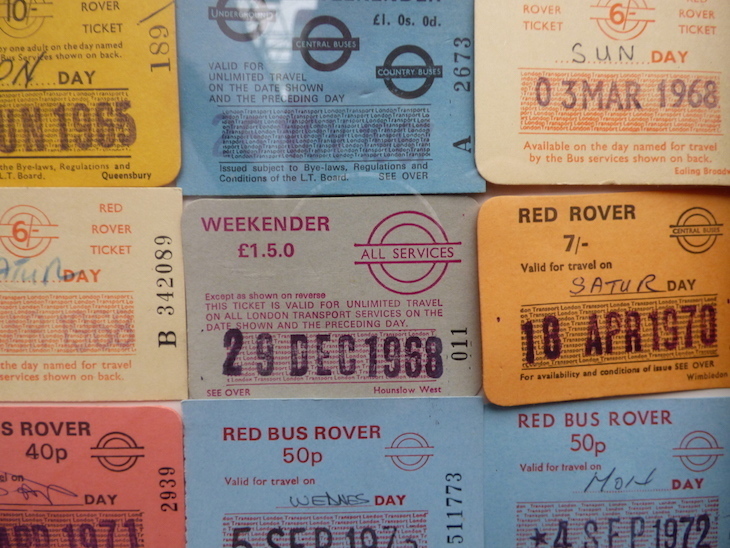 160 of them were dotted around at bus route terminals in London. At the end of the route, the conductor would clock in on the machine to allow the operating companies to regulate the service. 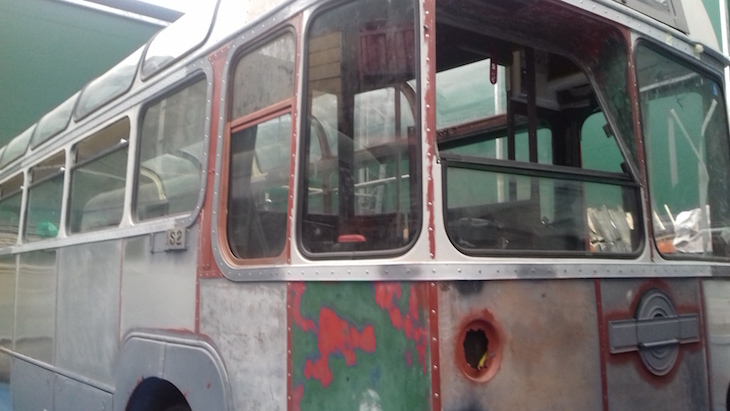 It may not look like much in its dilapidated state (it's in the workshop for a complete restoration) but it's something of a celebrity in the bus world. 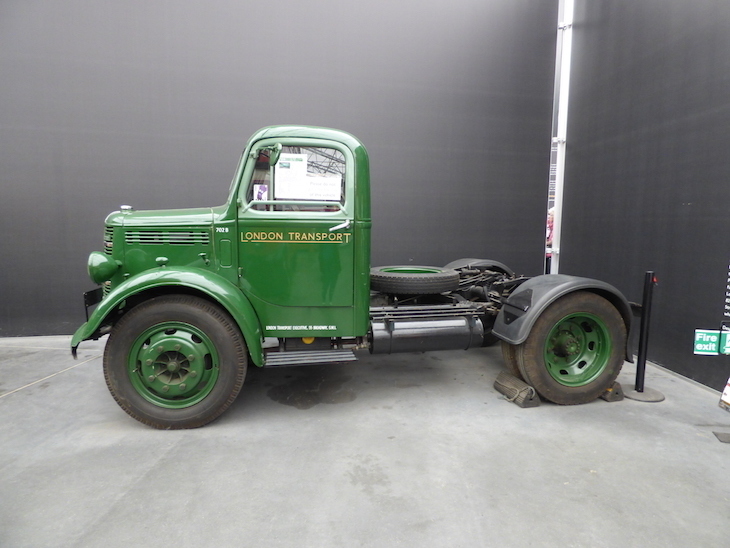 It was owned by Colin Curtis, the man responsible for designing the original Routemasters. His family donated it to the museum after his death — watch this space to see it fully restored soon. It's not a bus at all, it's a bus canteen. 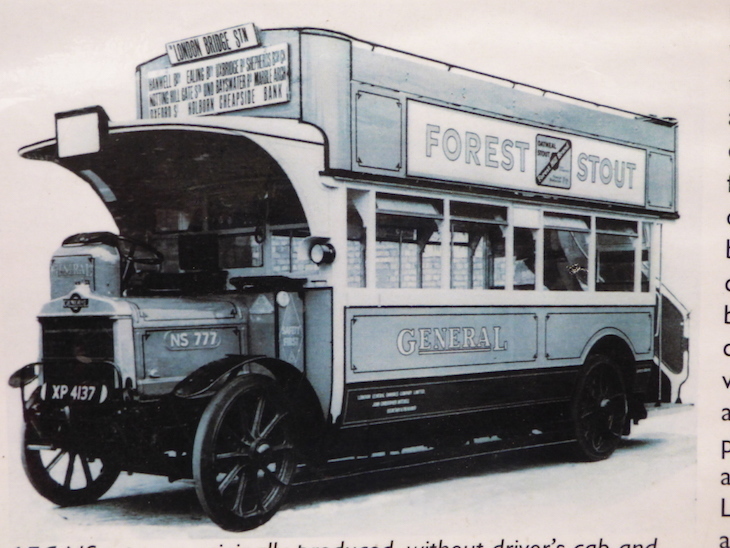 They used to be used by drivers and conductors at the end of the route as a place to eat, drink and rest — a bus equivalent of a Cabman's Shelter, if you will. 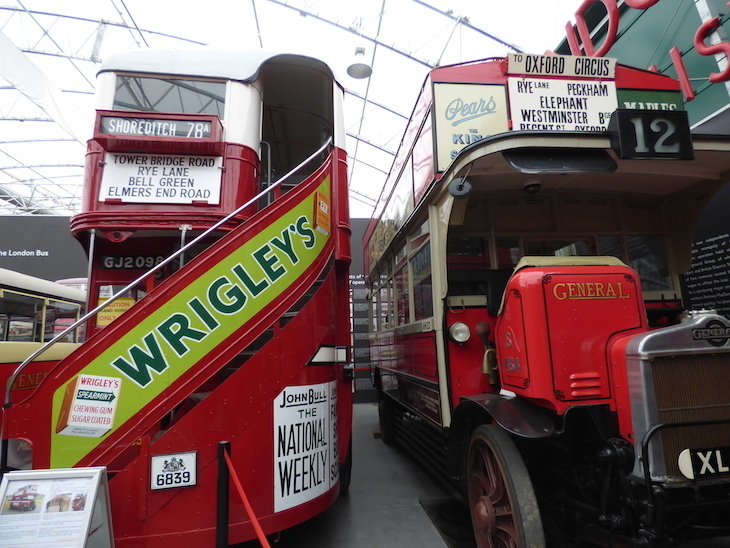 The trailer that was used to tow these canteens to the end of the route can be seen in the public part of the museum. Back out there, we finally find a bus we're allowed to climb on board. It's odd, we take buses regularly and this one isn't much different, save from the open platform at the back which health and safety has now put a stop to — yet we feel a childlike excitement as we clamber on. Nearby, actual children are excited at using the turnstile entry bus from the 1970s, but we're distracted by the view out of the stable-like door at the side of the museum. One of these, Richard tells us, is the former Sultan of Oman's private plane. It may not look like much from the outside, but it's gold-plated everything inside, apparently. 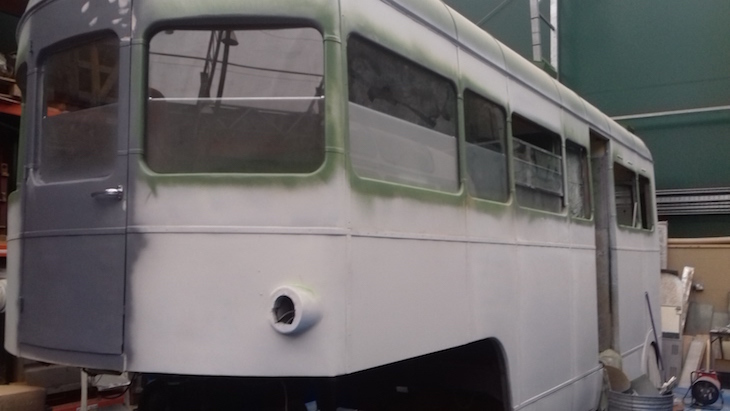 Back inside, an NS174 bus is being completely rebuilt. 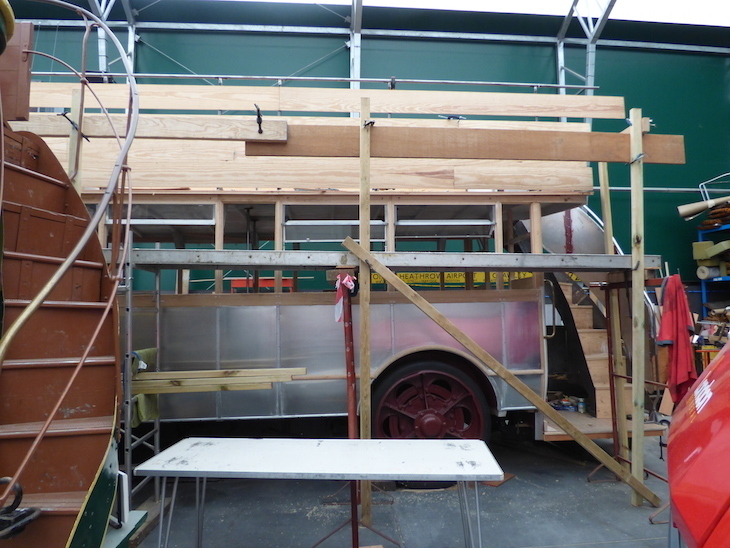 It's more scaffolding than it is bus at this stage. It was being used as a chicken run before the museum acquired it and restoration is taking place. The final corridor of the museum is probably where you'll spend the longest. 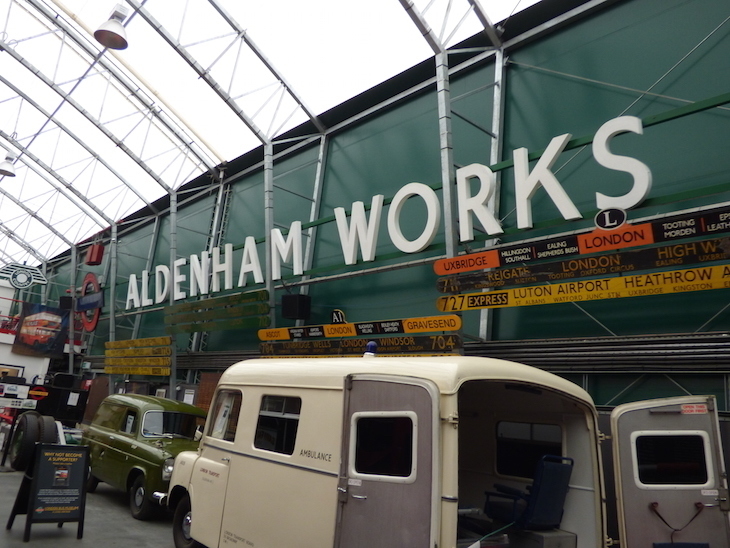 Old route maps, tickets and bus garage signs line the walls. 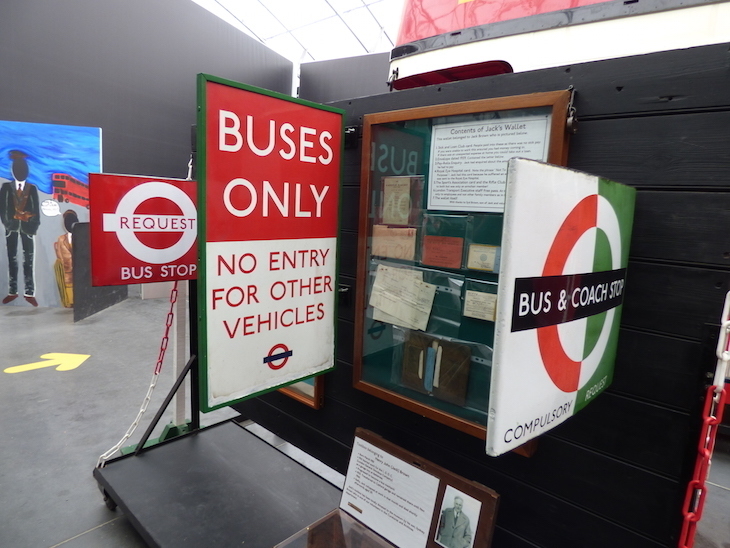 Information boards talk about the first female London bus driver. There's a memorial to Colin Curtis of Routemaster fame (his ashes are scattered in a garden outside the museum). 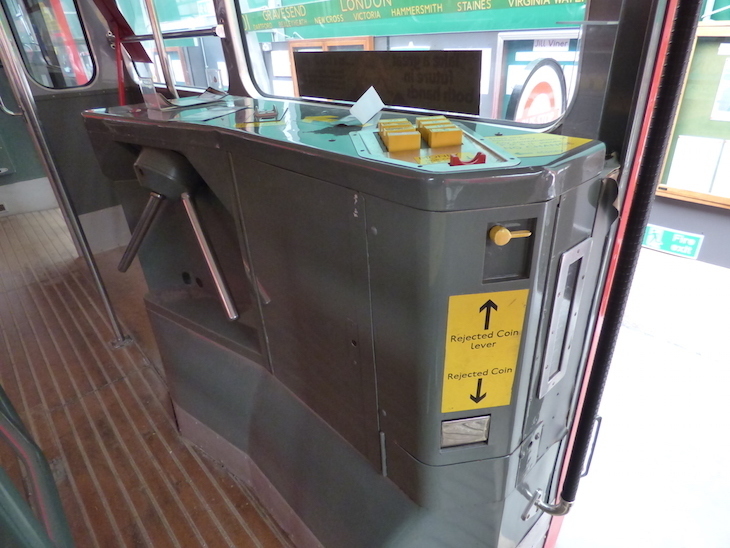 You can learn all about the different type of ticket machine formerly in use on London buses. Things get seriously, delightfully geeky. 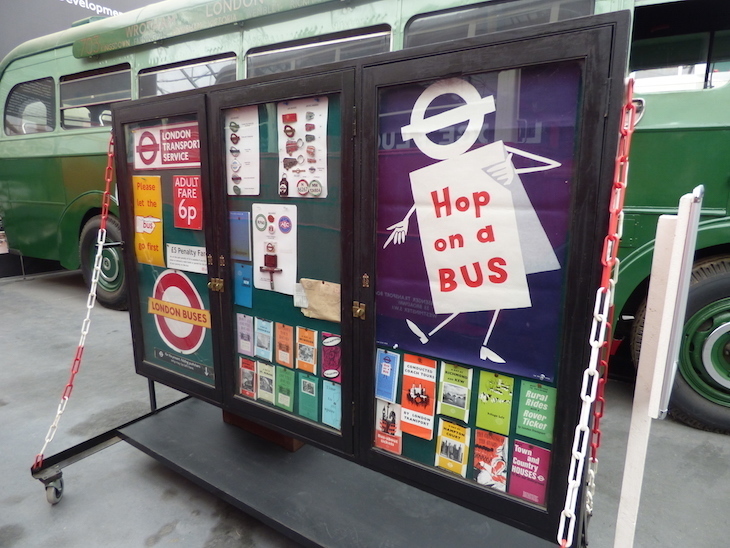 Having slurped up all the knowledge the London Bus Museum has to offer, we head for the door. 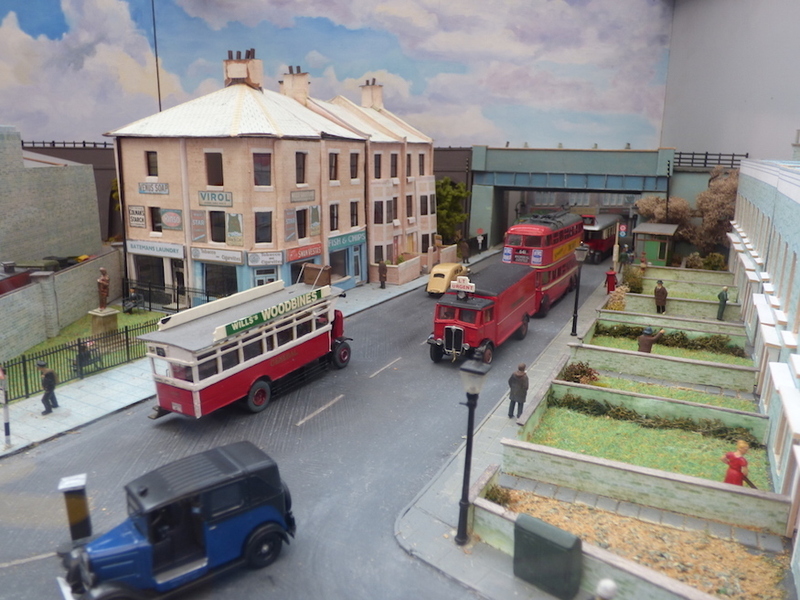 It's difficult not to be enchanted by the diorama of Upton Park Bus Garage in the 1930s, placed by the exit, but we tear ourselves away, back out into the plane graveyard. 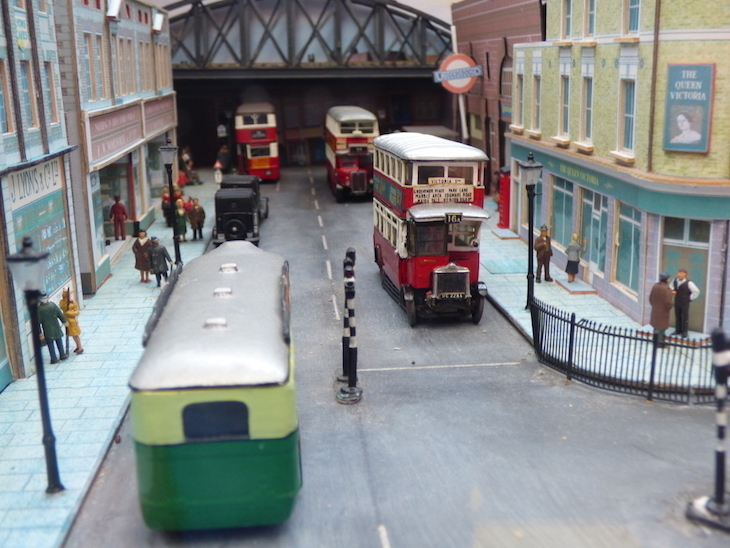 The London Bus Museum, part of Brooklands Museum, Brooklands Road, Weybridge, Surrey, KT13 0QS. 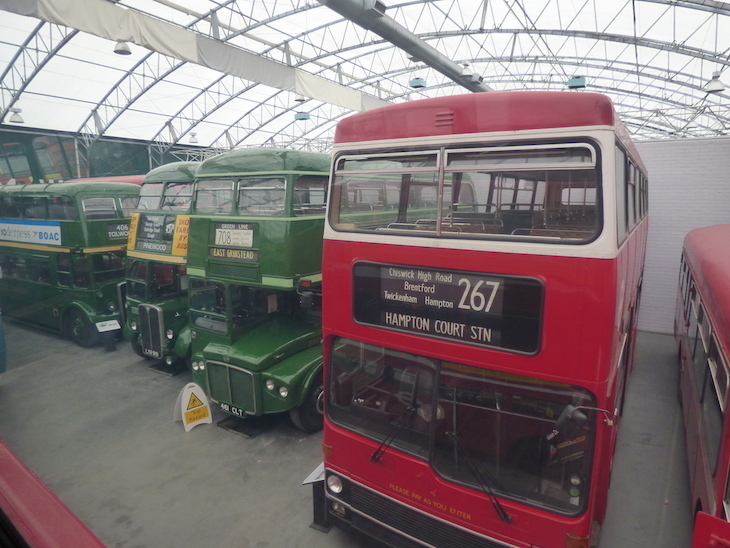 Entry to the Bus Museum is included in entry to Brooklands Museum (£11 adult/£6 child).